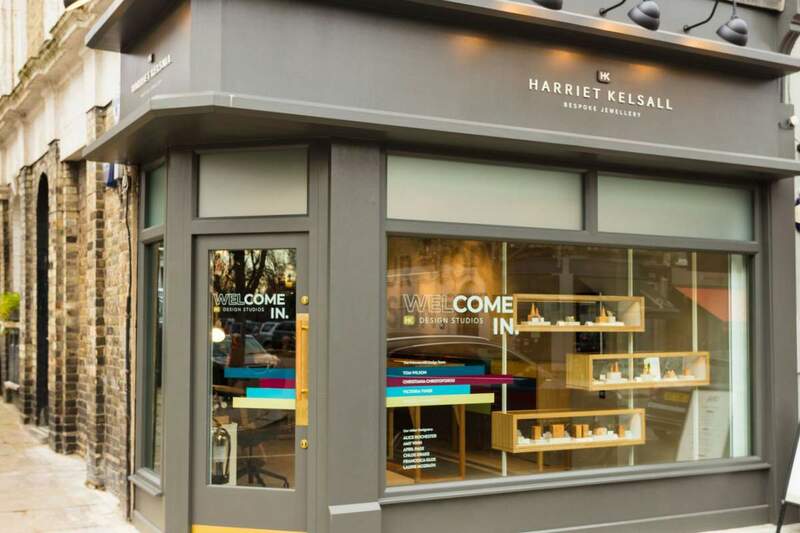 This month marks one year since Harriet Kelsall Bespoke Jewellery opened its doors in Primrose Hill. For eight years the unit at 69 Regent’s Park Road was an empty dilapidated space, but on Saturday 3 February 2018 a unique new retail environment was revealed. It’s been a busy year for the Primrose Hill team, beginning with an official launch party, which was a great success despite heavy snow! 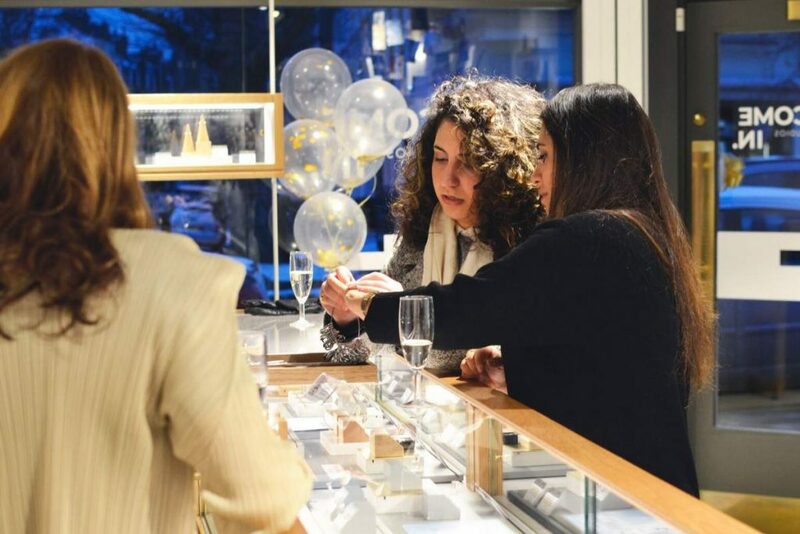 Harriet Kelsall Bespoke Jewellery called upon its new neighbours for help: the fizz flowed thanks to Nicolas Wines, cupcakes from Sweet Things were devoured, confetti balloons from Cacao Toys added extra sparkle and fresh flowers from Fitzroys added a touch of spring to a chilly day. It was a wonderful opportunity to meet the team of designers, led by Senior Designer Tom Wilson, and raise a glass to this exciting new addition to Primrose Hill. Next Next post: Together We Did It!